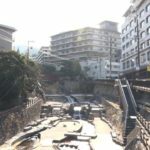 Kobe may give you an image of the high society town. 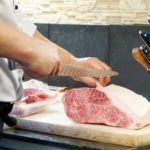 The local gourmet, Kobe-beef is well-knownas one of the 3 great brands of beef. But do you know that the casual gourmet, ramen has been gathering strength? 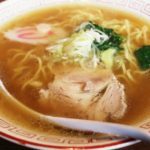 The ramen in Kobe which has its soup separately to dip and the mixed-ramen are popular? I’m introducing somewhat different ramen in Kobe which is its characteristic compared to other ones. The [Ramen Mazesoba Enishi] is located between the Iwaya station on the Hanshindentetsu-line and the Nada station on JR-line. Their landmark is the green lantern which looks like a tea-room at first glance. There is a ramen noodle making room inside the shop and you can watch the way that the ramen-noodles are made. The popular menu is the [Mazesoba] which is their signature dish. There are 2 types of ramen, one is with Tahini which is the sesame paste and the other one is without it. The hotness has the 5 grades from a little spicy one to the flaming hot one. The minced meat can mix with the flat medium thick ramen-noodles very well. Even for people who don’t like a hot taste, the little spicy one is just right as it is at the Chinese chilli oil level. Whether you like the spicy food or not, please try one just once. 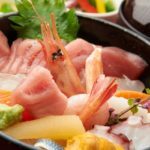 The [Tsuke-men Shigeta] is located near the Kobe-city Nada-ward office which is a 4-minute-walk going northwards from the JR Rokkokaido station. The landmark of this shop is just like a buckwheat- noodle shop with the bright navy blue noren (shop entrance curtain). In the calm interior with a Japanese atmosphere, the hangers have been prepared for their customers and you can even relax, by taking off your shoes if you want. The popular menu of this shop is the [Mazesoba]. On the ingredients such as minced meat, nuts, Chinese chive and leek, the yolk of an egg is placed. The noodles are thick ones. 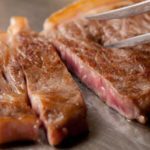 As it doesn’t contain any garlic, there is no acquired taste and you can eat it without any worry about the smell in your mouth. As it is hearty food and very filling, female customers are few. When you try it, please go when you are very hungry. The [Ramen Kai Kobe Honten] is close to the round-about in front of the JR Kobe station and its fashionable black based appearance is characteristic. The interior is simple and there are only 9 counter-seats. It is for people who want to taste ramen on their own rather than in a group. Each menu has a good reputation, but the most popular one is Tsuke-men. You can eat the thick noodles with the roasted rare pork fillet, the chicken fillet and the seaweed on the top, dipping them into the special sauce. The Ae-men is a mixing type of ramen. According to your taste, you can put on mayonnaise as a topping to have the different flavour and richness. Please try it just once. Time: 11:00 ~ 14:00 / 18:00 ~ 21:00 *Dinner-time is closed on Sundays. The [Dino Soul Rokkomichi-ten] has the stylish appearance with black and white colour and is in a short walking distance from the JR Rokkomichi station. They have only one small table with 2 chairs, apart from the counter-seats, so it is not recommended you should visit there in a group. The recommended menu of this shop is the [Jidori (local chicken) Tokusen (special) Ramen] using the creamy rich paitan-soup which has been created by the owner, taking 8 years. You may taste it as if you are having the chicken potage soup. For people who don’t like a too thick soup, they offer [Jidori Chunoh (medium thickness) Ramen]. They will close their shop when both of them are sold out. So, early arrival is recommended. The [Minatoya] which is near the Minatocho 1-chome junction to the south of the Kobe station has an impressive appearance with the red lantern and the bamboo blind. It is a small shop with only 12 counter-seats for a small group. You can taste the ramen in the rich soup. The top-selling, [Kotteri (rich) ramen] contains the medium thick noodles and the sticky beef-bone based soup. The soup is so thick that it mixes with the noodles very well. It is exciting that the soup is disappearing without being drunk. If you don’t like the thick soup, they will serve you the plain one. It would be better to order the plain one, if it is your first visit. It is basically recommended to people who love a thick soup. When you walk southwest from the south-exit of the JR Sumiyoshi station for about 4 minutes, you can find [Kohgaryu Seimen] at the Sumiyoshi junction. Its black based sophisticated appearance is its landmark. There are the counter-seats as well as the table-seats, but they are divided by a partition, so you will feel comfortable even if you are with your family. The popular menu is the [Japanese-styled chicken-bone Tsuke-men]. There is a small sized portion and a large one. You can dip the home-made medium thick flat noodles with the chewy texture in the rich paitan-soup (white chicken-bone soup) in which the flavour of chicken-bone has been condensed. If you don’t like the [Tsuke-men], you can have the standard [Shoyu (soy sauce) ramen] instead. This one is the conventional ramen. When you visit Kobe, I’d like you to taste this ramen. The [Men-ya Tensonkohrin Sannomiya Honten] is a 5-minute-walk towards the east from the JR Motomachi station. Their landmark is the white lantern at the entrance. They only have the counter-seats, so you can feel comfortable even if you visit the shop on your own. Their signature menu is [Tenson Ramen]. There is the salt taste and the soy sauce one and both of them are popular. The noodles are thin and soft and the chashu melts in your mouth. The set-menu with ramen, the [Nohkoh (rich) Tamago (egg)-kake rice] and the [Chashu small bowl] have been gaining a good reputation, being said, “Rich and tasty”. If you are capable of eating a big meal, why don’t you order a set-menu? The [Marutaka Chuka-soba Kobe Ninomiya-ten] with the gigantic red lantern which is typical of a Chinese noodle shop appearance is an 8-minute-walk towards the north from the Sannomiya station. They have the table-seats as well as the counter-seats. There are some boiled-eggs on the counter, but please be aware of the system for reporting that you have had one. The popular menu is the [Chuka-soba] based on the tonkotsu (pork-bone) and [Toku-soba] (more chashu (roasted pork rib). The noodles are thin ones and the chashu is less fatty, so you can eat them comfortably. The meaty rich soup mixes with the noodles very well. Please try it! The [Kitanozaka Oku] has a gigantic red lantern in front of the staircase which leads to the basement. It is found along the big street and is a 5-minute-walk from the Sannomiya station. The inside of the shop is spacious and modern and it creating a tavern like atmosphere rather than a ramen-shop. The popular menus are the [Tsuke-men] and the [Motsu Tsuke-men]. They have an ordinary ramen too, but if it comes to the popular one, it gives way to the [Tsuke-men]. The noodles are medium thick and chewy with low water content. The soup is the tonkotsu and seafood make. You can have up to 2 servings of noodles for the same price. So, if you want to eat the [Tsuke-men] until you feel full, this is the recommended shop for you. 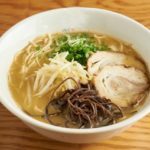 The [Miso-ramen Satsuki] with the yellow eaves and noren (shop entrance curtain) is a 7-minute walk towards the northeast from the JR Hyogo station. It is a popular shop often with a long queue. They only have 10 counter-seats, so it is suitable for a small number of people. The popular menu is the Miso-ramen which is the shop’s signature menu. The tonkotsu based rich and creamy soup matches with the thin noodles very well. The elaborate soup has been cooked since early morning every day. They decide whether they open their shop or not, depending on the result of the soup. So, please check it before you visit. Please taste the superb ramen in Kobe. 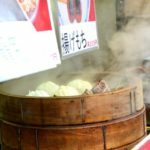 Let’s taste the delicious ramen in Kobe! Kobe has always maintained an exotic atmosphere. 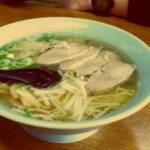 In this town, there are various tasty ramen shops apart from the ones which were introduced in this article. 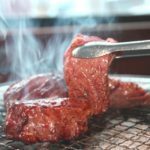 Please try some, when you visit Kobe. As there also are many sightseeing spots such as Mt. 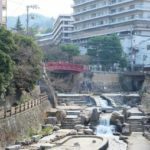 Rokko, Arima hot-spring and the Meriken park, please enjoy the Kobe town, eating the delicious ramen! 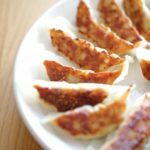 What to Eat in Kobe Chinatown! 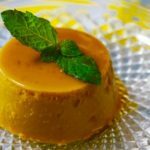 Best 10 Local Foods & Restaurants You Must Try!